I hadn't trained in a few months from injury/Christmas/laziness and got a bit "festively plump". 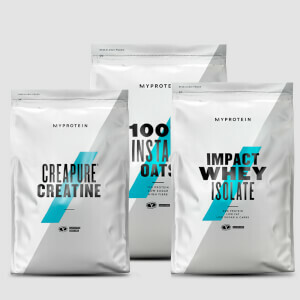 This bundle has helped me flip it and i'm loving the quick results and noticeable size gains. Highly recommended. Shake is delicious, even with water. I got this bundle just after Christmas as I had put a little bit of timber on. After taking this for two weeks I had notice a differnce in leaness. I take two scoops of Taurine prior to training and notice I feel more focused whilst training also I take two scoops of XS post workout with water and it tastes great. The CLA and Thermopure does exactly what it says on the tin. I will be purchasing more of this bundle in the upcoming weeks as it's a great deal. Great delivery speed, well happy with that. 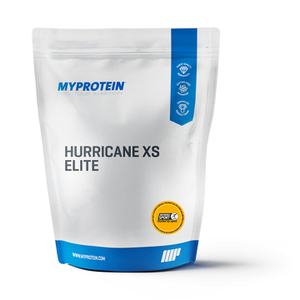 The softgels are good, as is the Taurine, but the Hurricane XS is a bit lumpy even when it's been put through the shaker, that's the only thing that could do with some work. On the whole, a great price for what you get. 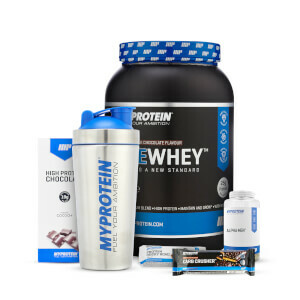 I used two of these bundles over a 9 week period consisting of 2 shakes a day 1@ 1030 and one post training. I trained minimum of 5 days a week with 2 days a week running in the morning and weights at night. I took the tablets as directed. I found my strength increased with good gains in size with over all definition. The Hurricane mixes well but settles quickly but nothing a quick shake does not sort out. I had the strawberry cream and it tastes well. 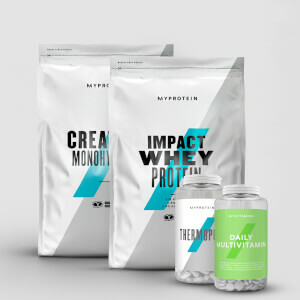 Overall a great bundle with great results thats why I have just ordered 2 more of the same bundle!